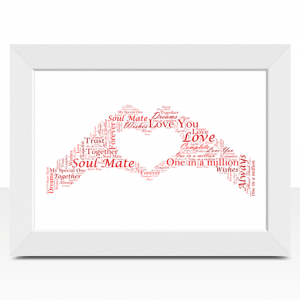 Need gift ideas for Valentine’s Day? 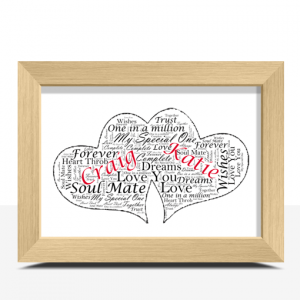 We have a variety of personalised Valentine’s Day Gifts that you can give to that someone special in your life. 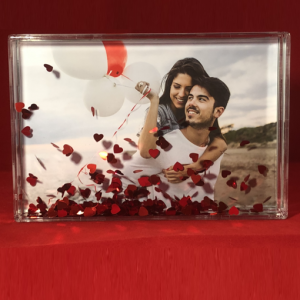 You can choose from our range of personalised valentine’s gift ideas & create your own unique Valentine’s gift for him or her that they can keep & cherish forever. 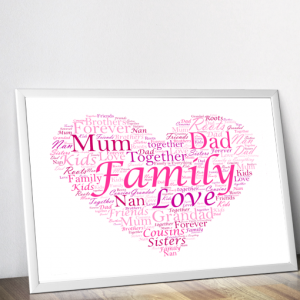 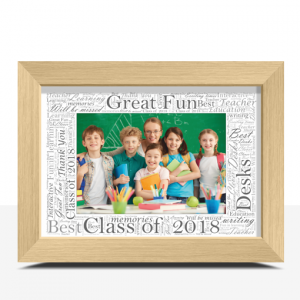 Create your own personalised word art photo frame for any occasion. 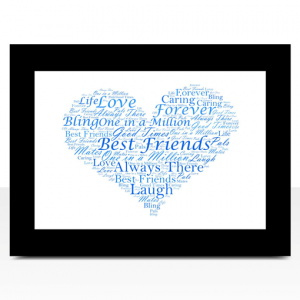 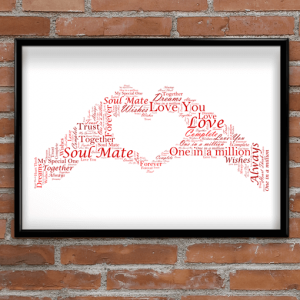 This Hand Heart Gesture Style Word Art Print makes a lovely gift or keepsake for any couple. 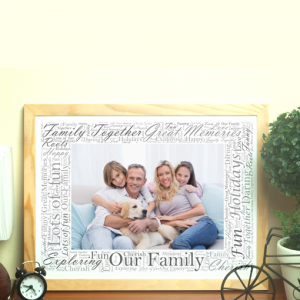 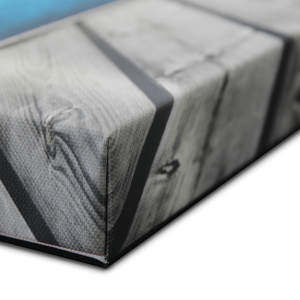 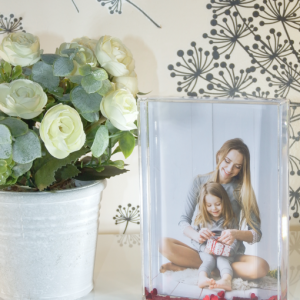 You can Personalise it by adding any words you want included. 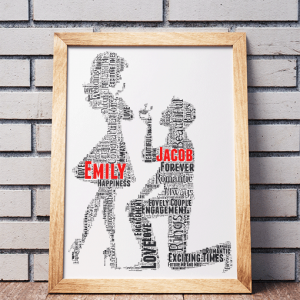 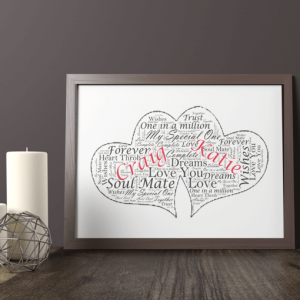 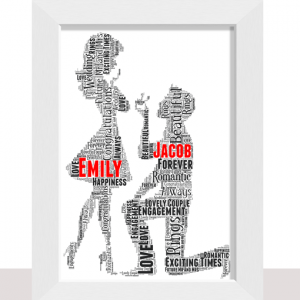 Add the couple's names and add all your own words to create a special personalised engagement gift. 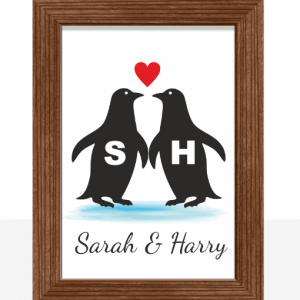 Personalise these pair of love penguins with any names. 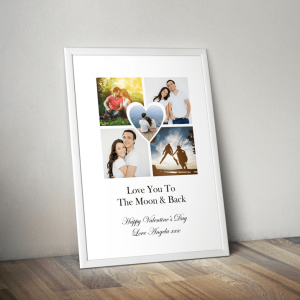 Bring Your Photos To Life! 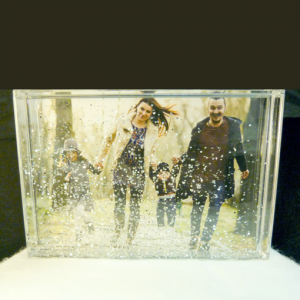 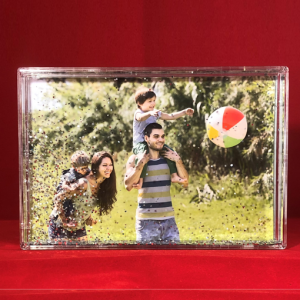 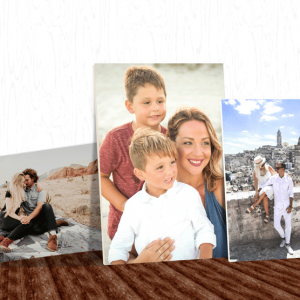 Create Your Own Photo Canvas. 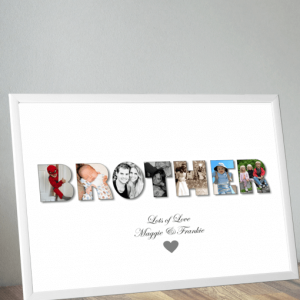 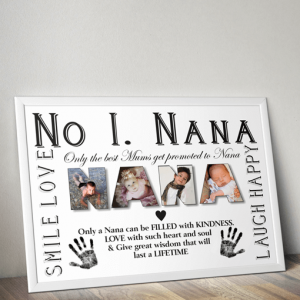 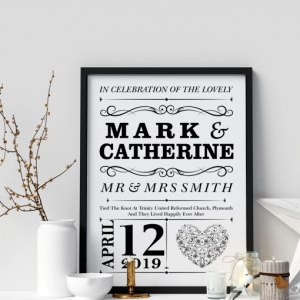 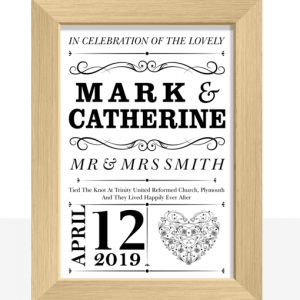 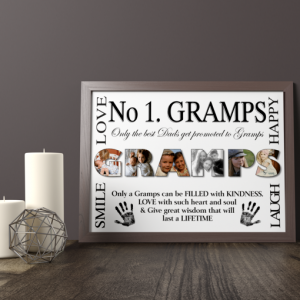 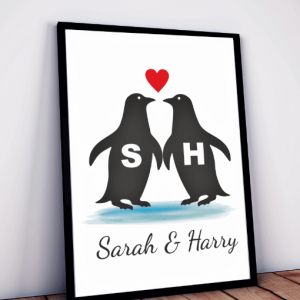 Personalise this print by adding any initials, names & any other text you want to include to make this a unique and personal gift. 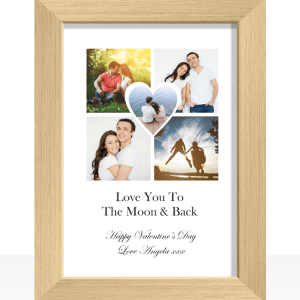 Create your own personalised love heart photo print.